We’d love your help. 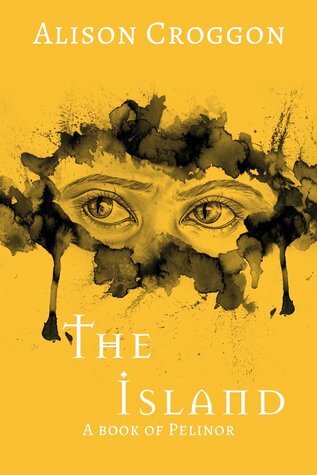 Let us know what’s wrong with this preview of The Island by Alison Croggon. Hello Ms. Croggon. Would you consider publishing this and The Friendship in an anthology for those of us who do not have access to e-readers (or just plain don't care for them)? I've been wanting overprotective dad Cadvan for FIVE YEARS and now it's been given to me, and that has healed me. I want MORE! I'm so intrigued by Moss, and especially by their backstory, that I would honestly read an entire book about them. It is quite unfair, in my opinion, for short stories such as The Island and The Friendship to exist. To be given such a teasing glimpse into the lives of the people outside of books many, including myself, have come to love, without further extension, is torturous to the soul. Can I cope with just a few pages of Pellinor? Yes, of course I dare. Because anything written about this world and these characters must be devoured immediately. What I love about Alison Croggon's w It is quite unfair, in my opinion, for short stories such as The Island and The Friendship to exist. To be given such a teasing glimpse into the lives of the people outside of books many, including myself, have come to love, without further extension, is torturous to the soul. Beautifully written short story. A glimpse to a world of a new beginning or a world of something untold. Exquisitely written, with lovely prose that isn't boring. This was the first piece by Croggon I'd read, however, and it doesn't mean much as a standalone story. Of course that's likely not its intent, looking at all the other reviews that praise it as a wonderful addition to a series they already love. Just something a reader should be aware of going in. I really enjoyed this short story. It was a wonderful addition to one of my favorite series. I only wish it had been longer, as it introduced ideas that we only got a tantalizing glimpse of. However, that's the nature of a short story. It will always be just a taste. If you love the world of this series, The Island is a great addition. A short story that tells of a day in Maerad's life when she finds a child and realizes he is bound for the island she keeps seeing. I enjoyed the story. It introduces Maerad and her past. I also found that it begins the world building for The Books of Pellinor series. It whetted my appetite to read more of this series. Obviously this left me wanting more. It's such an endearing glimpse into Cadvan and Maerad's life. I love that even in this short a story, both their personalities were unmistakably theirs. It's a lovely piece. A lovely short story, I just wish it was longer! I will never tire of the Pellinor series, never. HOW DID I NOT KNOW ABOUT THIS UNTIIL NOW?!?!?! It's a wonderful surprise but still!!!!! I needed this yesterday!!!! But get my hands on this!!! Her most recent book is Fleshers, the first in a dazzling new SF series co-written with her husband, acclaimed playwright Daniel Keene. Her latest Pellinor book, The Bone Queen, was a 2016 Aurealis Awards Best Young Adult Book finalist. Other fantasy titles include Black Spring (shortlisted for the Young People's Writing Award in the 2014 NSW Premier's Literary Awards) and The River and the Book, winner of the Wilderness Society's prize for Environmental Writing for Children.